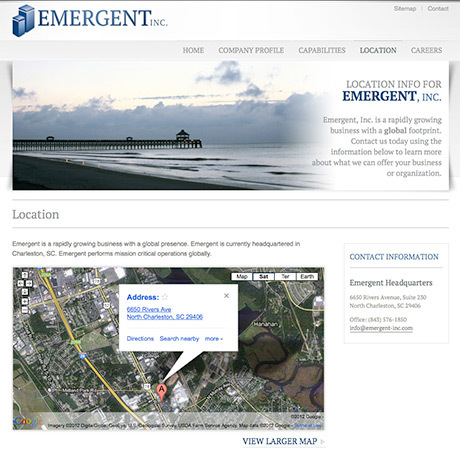 Emergent, Inc. is a technology firm based in Charleston, SC - but you would never know that by their original website! 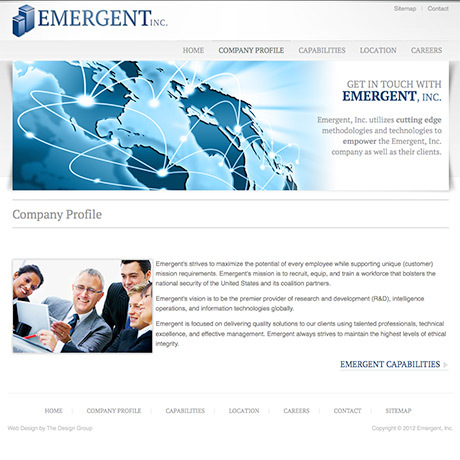 Our primary task with Emergent's website was to completely revamp the site structure and redesign the entire site from the ground up. The key? 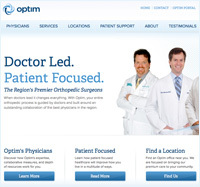 Technological Simplicity. 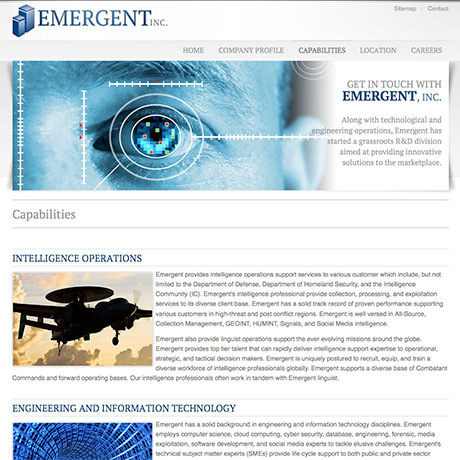 On Emergent Inc., white space goes a long way.It was, in fact, the aforementioned use of white space, subtle drop shadows, the integration of technology-focused photographs, and refined typography (with the help of Google Webfonts) that gave the site its simpistic, yet web 3.0 look. 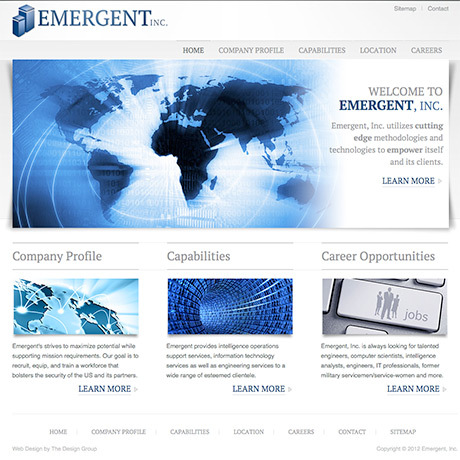 The ease of finding information, improved navigation structure and overall design advancements make the Emergent Corporation site not just aesthetically pleasing, but also a fundamental tool for company promotion. 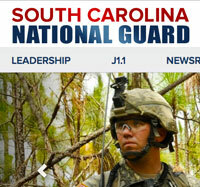 Once the planning phase was finalized, TDG compiled all the research to develop a mock-up design featuring tasteful, subtly patriotic color scheme, featuring the bold, beautiful photographs provided by the PAO, and periodically incorporating elements such as the South Carolina flag throughout.